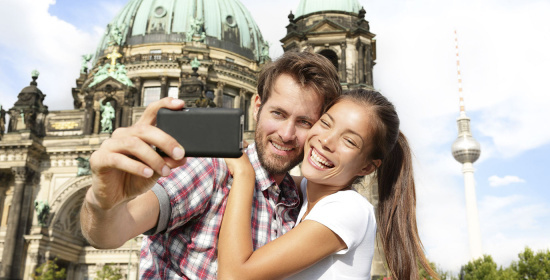 Berlin, the number 1 choice for short vacations and city breaks! Berlin is probably Germany’s most diverse city. The lively hustle and bustle in the squares and cafés, contemporary art, culture and lively events all around the city. Impressive buildings that are steeped in history line the streets: the Brandenburg Gate, Museum Island, the Victory Column, the Government District, Charlottenburg Castle – to name but a few. Visiting these sights is a must for any visitor – whether visiting the capital city for a short vacation, a city break or a business trip. Let yourself be drawn in by this fascinating city. Enjoy Berlin in a single or double room and begin your day with our extensive breakfast buffet!